The Foxboro brand 871PH Series are rebuildable, precision, electrochemical sensors, and when used in conjunction with 871PH accessories, are suitable for pH and ORP measurement applications. The 871PH Series sensors are used with Foxboro 870ITPH Intelligent Transmitters, 875PH Intelligent Analyzers, 870PH Analog Transmitters, and 873PH and 873DPX Electrochemical Analyzers. The Model 871PH Sensor includes a robust and continuously reusable sensor body with a field replaceable measuring electrode, and field replaceable reference junction and electrolyte. 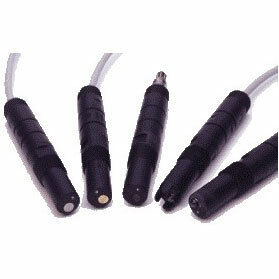 Numerous options and accessories are offered to enhance the performance of these transmitters. Easy-to-use body design simplifies installation, calibration, maintenance, and replacement.